Book onto our 2014 National Anti-Bullying Week events! Every year we hold two events in November for National Anti-Bullying Week. Our events are a chance for staff and young people from schools and youth organisations to explore the issue of bullying through creative workshops led by talent/celebrities. In previous years workshops have included graffiti, dance, singing, rap/poetry and much more as well as sharing good practice and ideas. The day will feature lots of networking, a panel question and answer debate, a staff session, a Dragons’ Den competition to give your young people the chance to win your school’s Anti-Bullying team some cash for a fantastic idea to prevent bullying plus lots more surprises! Last year events were supported by British pop band ‘Rixton’, Hollywood Actor ‘Will Poulter’, dance duo ‘Twist and Pulse’, Waterloo Road’s ‘Rebecca Craven’, Anti-Bullying campaigner ‘Jodie Marsh’, BBC Three’s ‘Bad Education’ star Layton Williams, Pop star ‘Tich’, ‘The Voice’ contestant Vince Kidd and many more! With staff CPD provided by Facebook. Places for young people include lunch. Each young person will participate in two workshops, receive branded goodies, a parent guide, lunch and much more! Staff places include staff sessions covering online safety and security, a creative session and lunch. 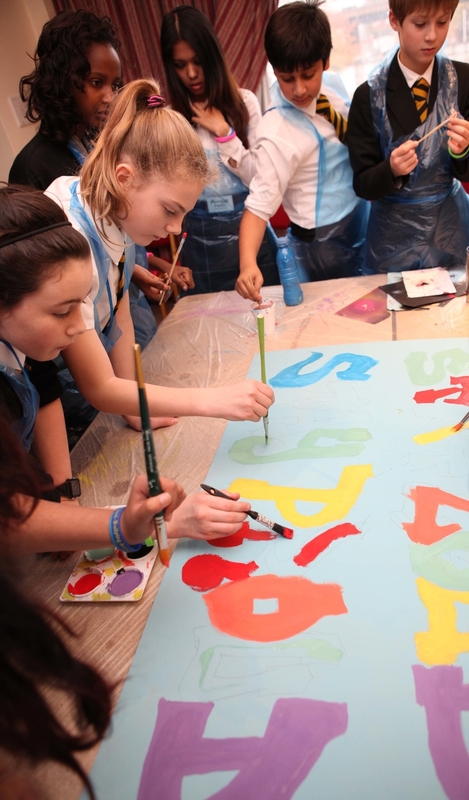 Check out what we got up to at last year's National Anti-Bullying Week events here. Places are allocated on a first come first served basis so book now to avoid disappointment! Please note that celebrities are subject to change without notice.